All-rounder Carlos Brathwaite, on 9 August, has been appointed as the captain of West Indies T20 team, replacing Darren Sammy who was sacked and omitted from the 13-man squad for the upcoming two-match series against India later this month in Florida. "Brathwaite is one of the most talented players in the T20 format of the game and his humble and committed approach to the game can inspire young and upcoming players," chairman of selectors Courtney Browne said while stressing that they were looking forward to a competitive series against India. Last week, two-time World T20 winning captain Sammy had posted a video his Facebook account saying that he was informed about his sacking by the chairman of selectors in a 30-second call. A WICB release said: "With regards to Sammy's omission from the squad, the Chairman noted that the named-squad was selected purely on players' performances. "The selection panel has expressed its thanks to former captain, Daren Sammy for his leadership of that format of the game for the two World Championship titles in 2012 and earlier this year." 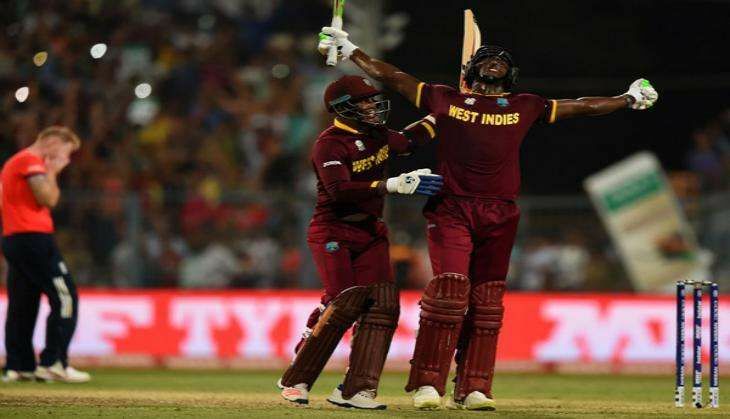 Brathwaite, 28, became an overnight sensation after smacking four consecutive sixes to help West Indies defeat England in the World T20 final in India this year. Apart from the CPL, he has played seven ODIs and a Test against India in Antigua since then. Andre Fletcher, Andre Russell, Carlos Brathwaite (capt), Chris Gayle, Dwayne Bravo, Evin Lewis, Jason Holder, Johnson Charles, Kieron Pollard, Lendl Simmons, Marlon Samuels, Samuel Badree, Sunil Narine.